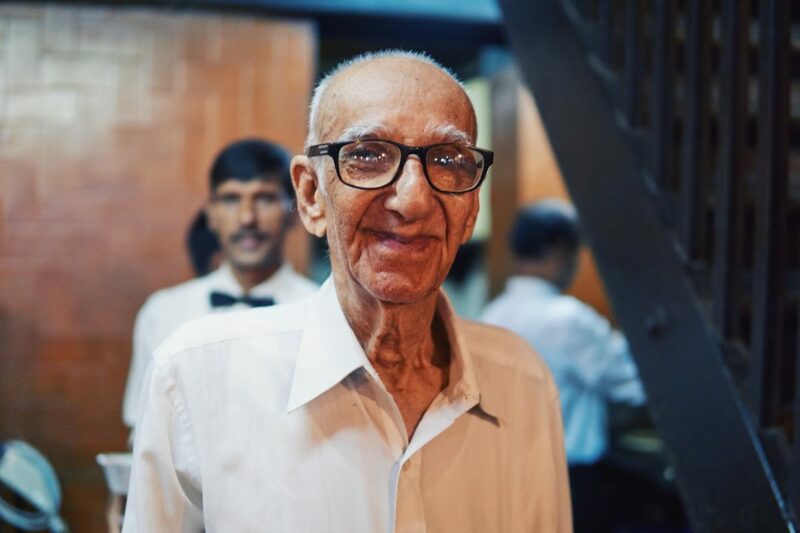 Visiting one of Mumbai's most prominent historic Irani restaurants. 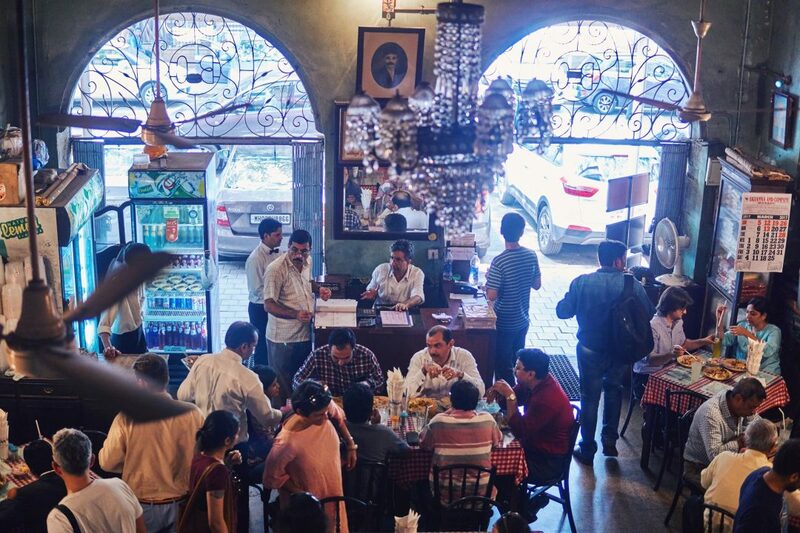 Irani restaurants are indelible part of Mumbai’s history. They’re peppered all around South Bombay – most of them have been around since the 19th century, but their numbers have since dwindled considerable (there’s some useful background on wikipedia). 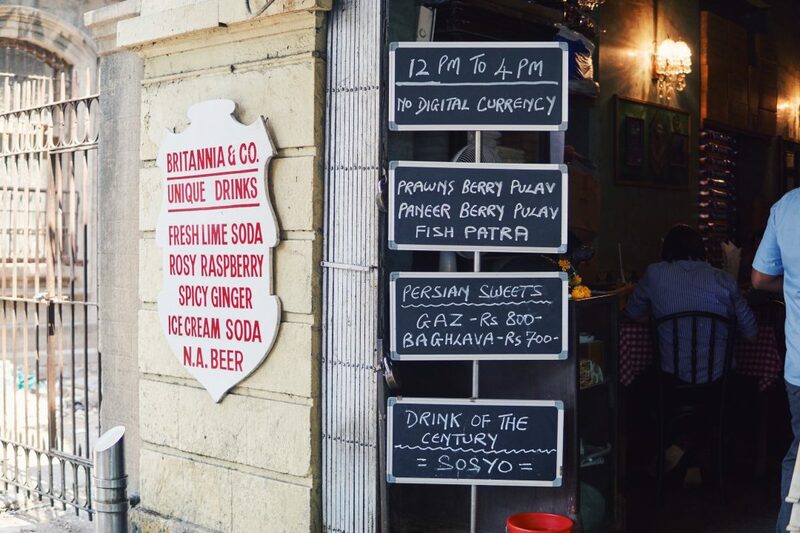 Since I live in the suburbs, I haven’t visited too many, although I did blog about visiting Picadilly Restaurant in Colaba back in 2013 (now rebranded as Persepolis). 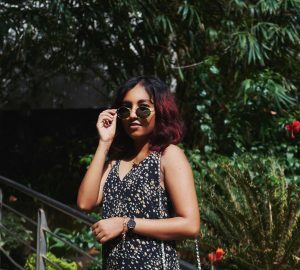 Britannia & Co. in Fort had been on my wishlist since forever, but since it’s in Ballard Estate (the old business district) I had just never got around to going there. Recently mom & I had a boring errand to run in the area & it was the perfect reason to finally visit for lunch! Simple, iconic signage to know that you’re in the right spot. 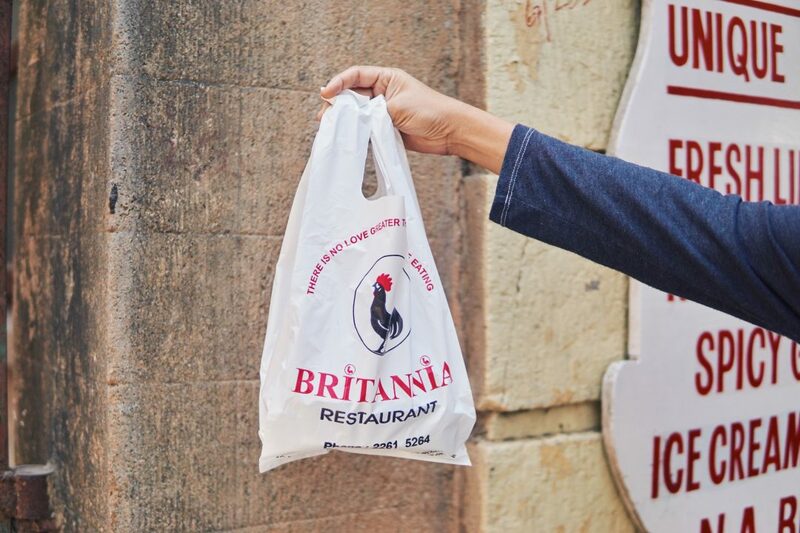 Britannia & Co. keeps it simple – it’s open for just four hours daily, from noon to four (mainly catering to the local office goers) & only accepts cash payments. The main floor was packed when we arrived there, luckily they also have a mezzanine & we got to inaugurate it for the day. 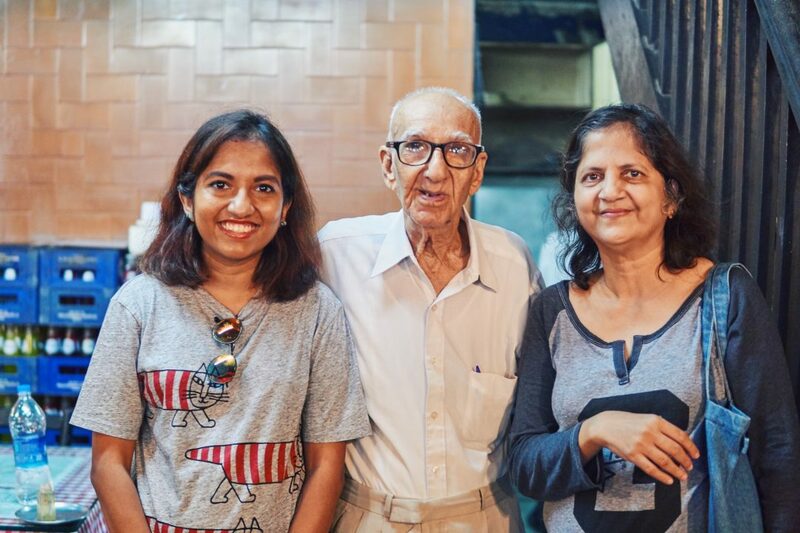 It did offer a great bird’s eye view of the going-on’s in Britannia & Co.
Irani Restaurants & Cafés are devoid of many modern comforts that many eateries offer- there are no air conditioners, just fans (although some do have a separate AC room with a higher priced menu). You will get a kind of old world hospitality that’s unmatched with any more modern place, though. 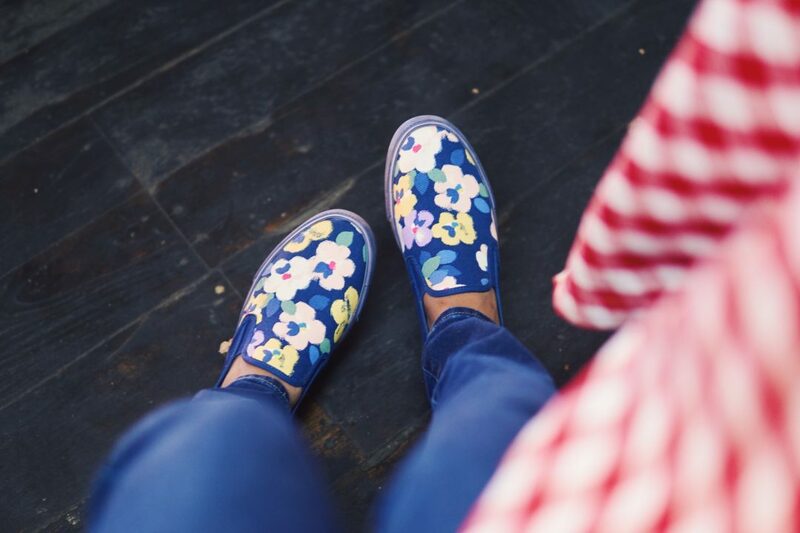 First order of business of business – get some drinks! 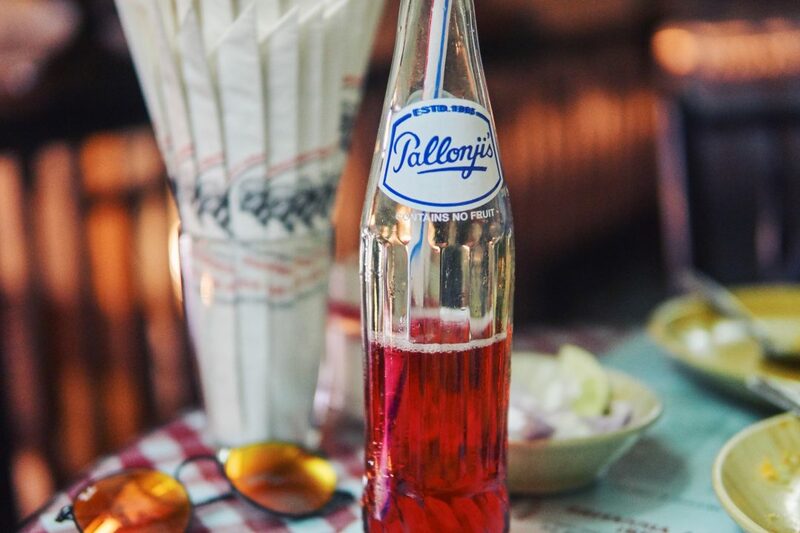 Britannia is one of the only restaurants in Mumbai to serve Pallonji’s, a homegrown Indian soft drink brand that’s over 150 years old (yes, I did my research). We got raspberry & ice cream soda, both were so good! I wish these flavours were more easily available. I asked if I could take a photo of him & he agreed as long as he took a photo with us, too! It was just so lovely meeting him. Speaking of doggy bags, I was so delighted to see the folks at the restaurant let a stray dog in the area take shelter near the cash counter. Most people seem to react to stray animals with suspicious, fear & disgust. It’s rare to see sensitivity & kindness like this, it warmed the cockles of my heart. 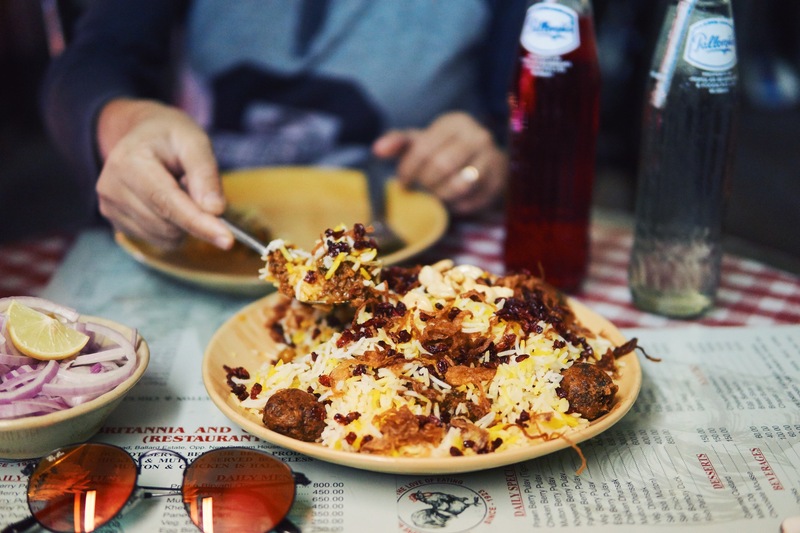 Eating at a place like Britannia & Co. is not just about the food (even though it was amazing!) It feels kind of like an exercise in history or anthropology, it’s like taking a step back into the Bombay of decades ago, very little seems to have changed over the years & I hope it stays that way! 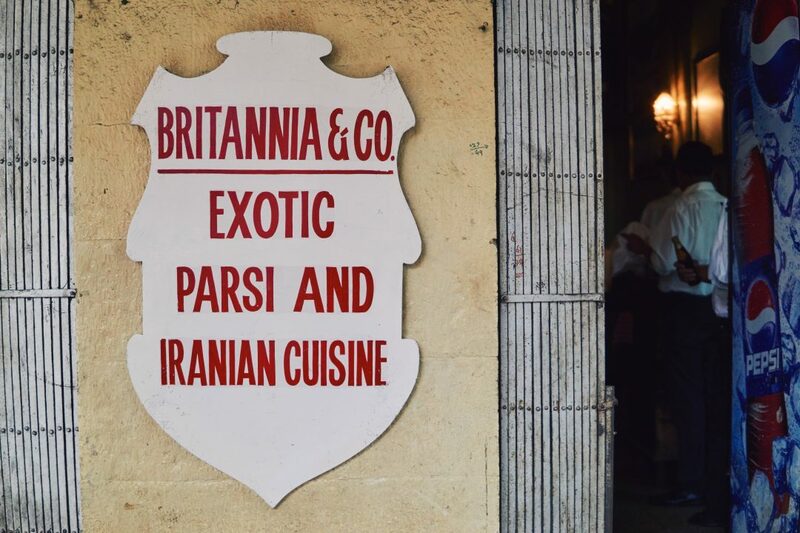 If you’d like to know more about the Mumbai’s Irani restaurants, you can check out this NYT editorial from 2009 – A Taste of Persia, and Old Bombay. 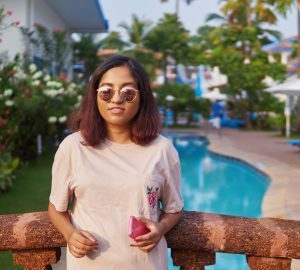 irani chai, mumbai is also a really great blog talking about almost all the Irani Cafés in Bombay although it hasn’t been updated much in the last few years. 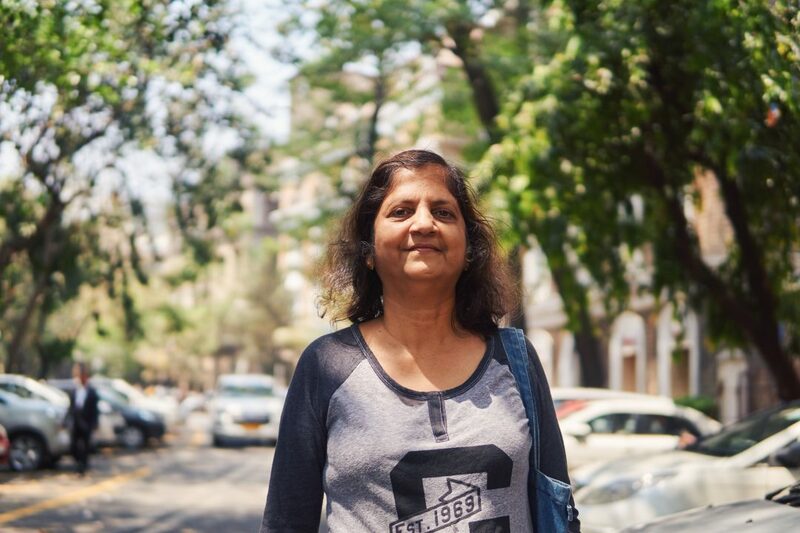 Ending this with a picture of my mom being super cute in the tree lined streets of Ballard Estate.